Home > Members > Managing Payments > How can I charge a member? How can I charge a member from the dashboard? 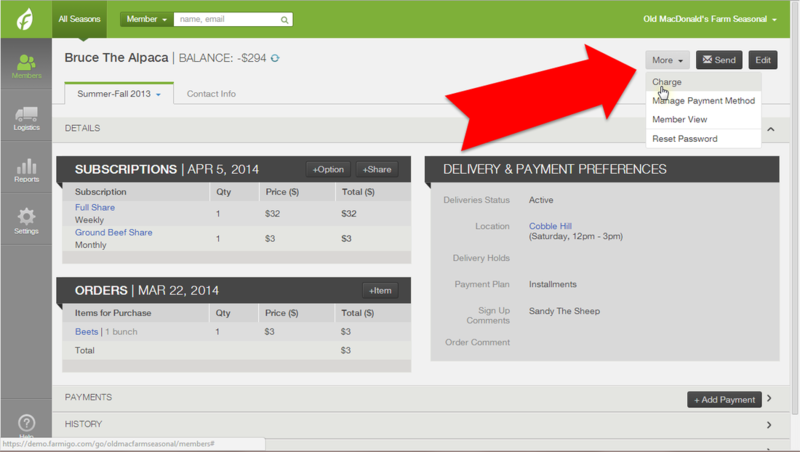 PLEASE NOTE: You cannot charge a member via PayPal from the administrative dashboard. 2. Click "More" in the upper right corner and select "Charge". A window will pop up. 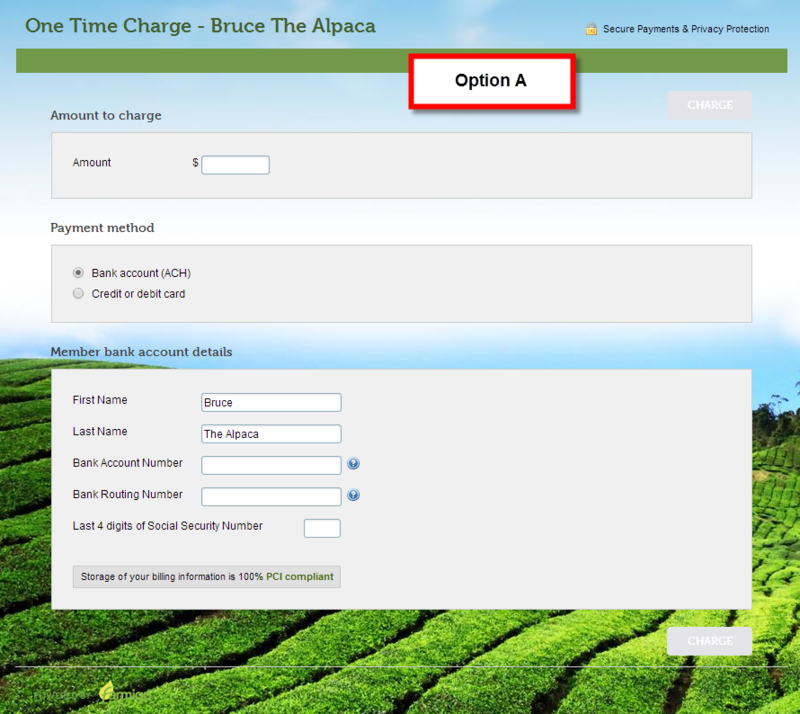 Option A - Enter the member's payment information at the time of the charge. 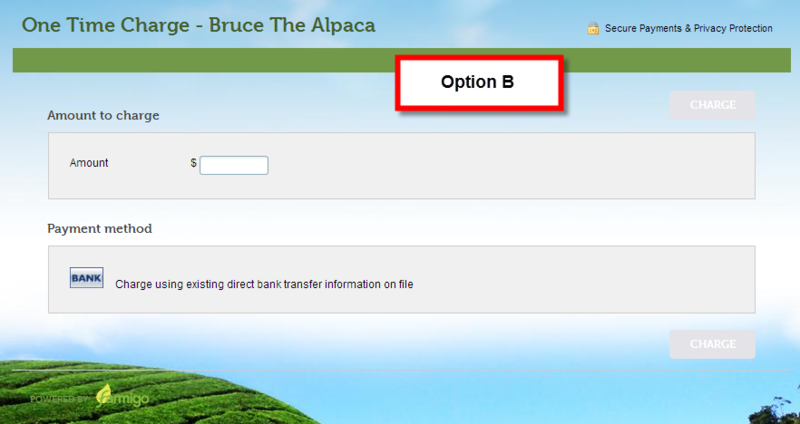 Option B - Charge the member using their payment information on file. If you see a symbol next to the member's balance of 2 circling blue arrows, this indicates that the member's payment information is stored in a secure server accessed through this payment token. If the member does not have a payment token associated with their account (indicated by the symbol of 2 circling blue arrows), then you will need to enter their payment details manually. If the member has a payment token associated with their account (indicated by the symbol of 2 circling blue arrows), then you will charge that member using this payment information. Click here to learn more about storing member payment information.